Squirrels are very determined animals that can cause major damage to your property and surrounding land. Signs of squirrel problems can be found in the garden, such as plants stripped of fruit and grain. They can also enter loft spaces and cause damage to wires, timbers and insulation. Squirrels can be exceedingly noisy causing noise pollution, especially during the mating season. Able Pest offer the complete squirrel control solution with advanced baited traps and preventative measures against further damage. 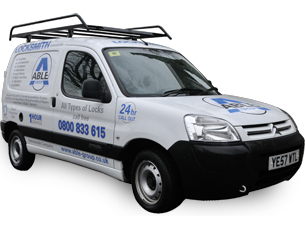 For free quotes and estimates call us on our 24/7 free phone services with trained staff on hand to help you. Copyright© The Able Group 2009. All Rights Reserved. | * Where Possible.